Sp Flash Tool otherwise called Flash Tool or Smartphone Flash Tool is a Computer application used to write firmware to Mediatek (MTK) Android gadgets. Its an entirely simple application to utilize yet you’re bound to experience one error or the other at specific focuses you would say. This guide is committed to posting blunders/errors you may experience when utilizing SPFlash Tool, what they mean/demonstrate and what steps you can take to settle/resolve them. Simply incase you don’t know how to Use SP Flash Tool application, please read to get a decent understanding into how the application functions keeping in mind the end goal to support your odds of accomplishment. 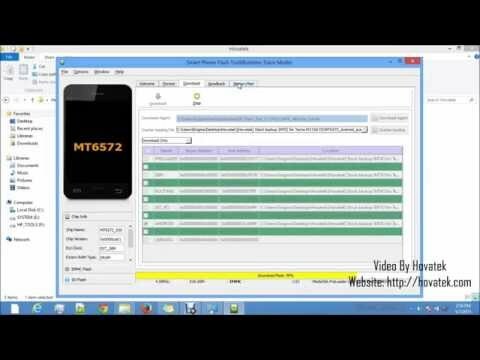 Smart Phone Flash Tool also known as SP Flash Tool is a Desktop application used to flash firmware to Mediatek (MTK) Android devices. Its a pretty easy tool to use but you’re bound to encounter one error or the other at certain points in your flashing experience. This guide is dedicated to listing errors / problems you might encounter when using SP Flash tool, what they mean / indicate and what steps you can take to fix / resolve them. Just in case you don’t know how to use SP Flash tool , please see the video below to get a good insight into how the tool works in order to boost your chances of success. We have neatly arranged each error into error code, message, meaning and solution. In order to easily find the solution to the error you’re getting, use the ‘Find in page’ option in your browser to search for the error code e.g 4032 . This will save you the stress of endless scrolling or accidentally scrolling past the SP Flash Tool error you’re looking for. If the MTK backup contains more than one scatter file, retry flashing with the other scatter file. If that doesn’t work, open the scatter file using Notepad++ and change __NODL_FAT to FAT by removing “__NODL_” . Ensure the phone is switched off (with battery still inside) before connecting to PC for flashing. If that doesn’t work, keep holding down the volume decrease button just before connecting the phone to PC for flashing (you could try volume increase , power + volume decrease or power + volume increase). Message: S_FT_DA_NO_RESPONSE or Da didn’t send response data to FlashTool! Meaning: Sp flash tool believes there’s a mismatch between the information provided in the scatter file and the phone’s info. In SP flash tool, navigate to Options > Option > Connection > Battery. Set it to “with battery”. Don’t tick any box (after loading the scatter file) without a file path / whose corresponding file has not been automatically or manually loaded. Meaning: The version of SP flash tool you’re using doesn’t support the size(s) of the file(s) in the firmware / stock ROM. Navigate to Options > Option > Download and untick DA DLL All…..
Use “download only” under the download tab to flash the firmware then you can format if need be. Meaning: The image files you are trying to flash doesn’t contain the -sign header. Meaning: SP Flash tool encountered an error connecting to the device. For Linux / Ubuntu users, make sure you installed libusb-dev then blacklist Ubuntu’s modem manager (because it controls port /dev/ttyACM0, which is disabling SP Flash Tool from running properly). Download a different scatter file (one that doesn’t pop the same incorrect scatter file error in SPft), open the two scatter files using Notepad++ and you will notice that the incorrect scatter file has its items slightly shifted to the left. Edit the incorrect scatter file to the same format arrangement as in the working scatter file. Meaning: SP flash tool does not recognize the scatter file or the location of the scatter file.